Every day social innovators and social innovation organizations across the country are measurably impacting communities and individuals. This Practice to Policy blog series lifts up the voices of the more than 70 organizations that make up the America Forward Coalition and our broader social innovation network by highlighting outcomes-based solutions to our country’s most pressing social problems and why these solutions must be reflected in our federal policies. Today we will hear from Brian Bieretz, Sarah Gillespie, and Devlin Hanson with the Urban Insitute’s Pay for Success Initiative about the Denver supportive housing Pay for Success project and the role Federal legislation is playing to help support more such projects. 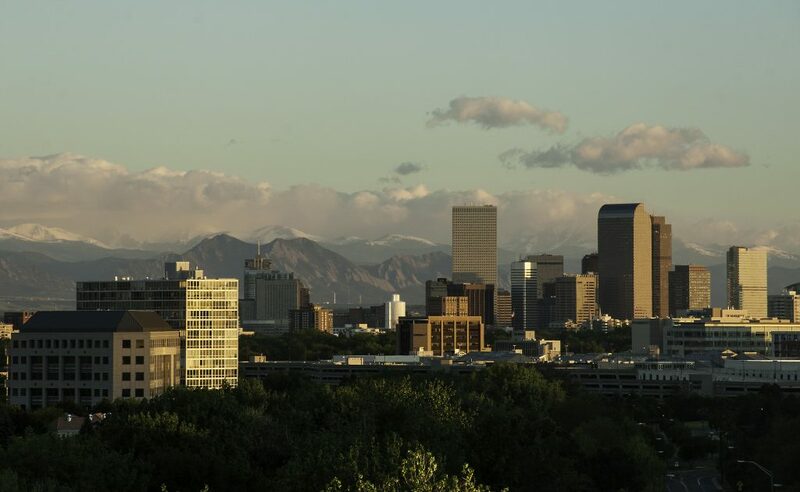 In early 2016, the city of Denver launched its first Pay for Success (PFS) project, the Denver Supportive Housing Social Impact Bond, to provide 250 of its most vulnerable residents with permanent supportive housing. Through the PFS model, the city committed to repaying the group of private investors, who initially funded wraparound services based on the project’s success in maintaining residents’ housing stability and decreasing jail-bed days. The first housing stability payment was made in October 2017. The project housed individuals for 95 percent of total possible days in housing. PFS is a contracting model in which investors provide the upfront capital for service providers to implement or scale a social program. The investors are repaid by the government only if specific outcomes as set by all project partners are achieved. Intermediary organizations help put the project together and provide oversight. Success in meeting the outcomes is determined by an external evaluator. In Denver, frequent utilizers of the criminal justice system – those served by the PFS project – also experience chronic homelessness and spend a disproportionately large number of days in jail and detox. In total, the 250 most expensive users were estimated to collectively cost the city $7.3 million per year. By providing permanent supportive housing to this population, the city hopes to improve their health and well-being while saving money. One resident, Maurice Cushinberry, for example, had circulated through jails, shelters, and friends’ couches for about two years before landing a home through this project. After receiving housing, Maurice has avoided run-ins with the police and is actively looking for a new job. Housing is provided by the Colorado Coalition for the Homeless and the Mental Health Center of Denver. Eight investors provided a total of $8.6 million for the project, which also leveraged Low Income Housing Tax Credits to build 210 new units of housing. The remaining 40 units are provided through existing developments. The Corporation for Supportive Housing and Enterprise Community Partners lent their expertise to help put the project together, including setting up the Denver PFS LLC to oversee the project and sign the agreement with the city. Evaluation services are provided by the Urban Institute. The unique component of the project is how government payments are determined. The project includes two success payment triggers: housing stability and reduction in jail-bed days. Based on previous studies, the project estimated that it could expect an 83 percent housing stability rate and a 35 to 40 percent reduction in jail-bed days. While housing stability is measured among those in supportive housing provided by the program, the reduction in participants’ jail stays will be estimated in comparison to a randomly assigned control group. If the project meets the expected benchmarks, that would trigger about $9.5 million in success payments from the city to investors. However, if the project exceeds those marks, then the investors receive a higher payment of up to $11.4 million. The flip side of the investment is that investors receive lower returns if the project does not meet expected benchmarks. The most recent payment was based on housing stability and the project continues to measure both housing stability and jail-day reduction outcomes as more individuals are enrolled in the program. Housing stability payments are based on the number of days a person is in housing once they have been in housing for at least one year, minus the days they spend in jail. The number is adjusted slightly to account for planned exits and the pilot phase, which did not factor into the payments. That total is then multiplied by $15.12 to get the housing stability payment. For the first six quarters of the project, participants maintained 12,457 days for a total payment of $188,000. The number of PFS projects like Denver’s are growing every year. The first project in the United States launched in 2012 in New York City, and now there are about 20 projects that are in progress or complete, hundreds more in the planning stage. On the Federal level, the most recent budget included the Social Impact Partnerships to Pay for Results Act (SIPPRA). SIPPRA enacts a $100 million fund housed within the Department of Treasury. It is still to be seen how the fund will work, but it will likely support Pay for Success projects across the country in the areas of early childhood, foster care, juvenile justice, education, employment, and homelessness among others.